Be LANAP Ready: Hello Healthy Gums! Do you have red, swollen and tender gums? Are bad breath and unpleasant taste haunting you day and night? Do your gums bleed while you brush? Going by the symptoms looks like you are on the verge of losing your teeth. 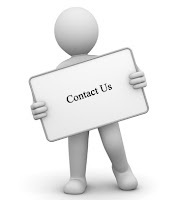 However, the good news is we at Deivam Dental Clinic are here to help. If your answer is a yes to all the above questions, you are a victim of the periodontal disease. Periodontitis is characterized by pockets of bacterial growth that in severe cases (when left unchecked) can result in gum and bone damage. This means less support indicating loose teeth in the near future. Laser-assisted new attachment procedure or LANAP as its more commonly known is a laser specific minimally invasive procedure. The protocol offers alternatives to the conventional surgical means characterized by less pain and higher success rates. A certified dentist or a periodontist makes sure that periodontal regeneration, new bone growth, and gum tissue reattachment. This protocol has been in use in the field of dentistry since 1994. The LANAP protocol aims at treating the periodontal pocket by employing an optical fiber and a laser. With the optical fiber, a certified dentist or a periodontist succeeds in loosening the calculus or tartar. Harmful bacteria are the only targets of the wavelength specific laser, leaving the healthy tissues unharmed. The calculus is removed utilizing fine ultrasonic instruments. Further antibacterial rinse will make you double sure that your teeth are calculus free. To seal off the surgical area and also to sterilize the pocket soft tissue and bones the laser is employed a second time. Now when it comes to the healing part the body's own fibrin closely secures the site. Why do we recommend LANAP? Regeneration is given an upper hand than resection. No damage is done to the underlying connective tissue. Quick 2 x 2 hour sessions. Very little to no gum recession. No kind of bone grafting is included. Takes the edge off bacteria in both the gums and tooth cavities. 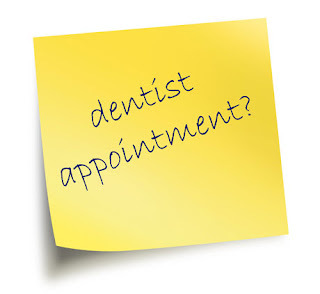 **Your dentist or periodontist will recommend a couple of follow up appointments post op along with the above stated. 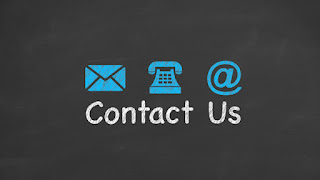 Looking for the best dental help? Look no further! Think getting rid of those bacteria infected tissues with Deivam Dental Clinic, Madurai. Guided by Dr.R Rajarajan, top dentist in madurai with our team of experts specializes in laser dental treatment providing a patient-friendly atmosphere. 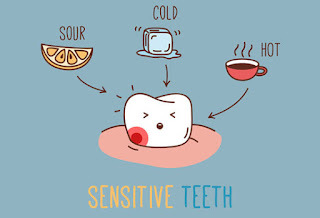 Tooth sensitivity is the most common dental problem that involves pain (or) discomfort in teeth when exposed to hot, cold and certain foods. The pain will be a sudden and sharp and last for few seconds to minutes, as temporary. 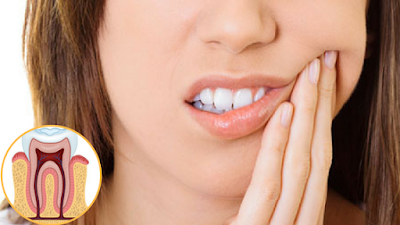 Tooth sensitivity is otherwise called dentin hypersensitivity. This problem occurs when the enamel in the teeth gets thinner, (or) the recession gum occurs. In cracked teeth, the bacteria are filled up and cause inflammation in the tooth pulp. In severe cases, this condition leads to the formation of abscess, infection. Using hard brush may lead to tooth sensitivity since it wears off tooth enamel, causes dentin to be exposed. Using mouthwash for a long period will affect the tooth. Some OTC mouthwashes comprise acids and when the dentin is exposed, the presence of acid in the mouthwash causes tooth sensitivity and damages the dentin layer. So, it is safe to use a neutral fluoride mouthwash. After some dental procedures, the teeth may have hypersensitivity. Usually, this condition will disappear within a week’s of time. Root canal: When the sensitive teeth cause severe pain and other treatments do not work, the patient will be advised for a root canal treatment. In this procedure, dental pulp issues are treated and it has been the successful procedure to eliminate tooth sensitivity. Dental Crowns: Decayed teeth may be treated with a crown. Crowns help sometimes to seal the root surfaces and protect teeth. Deivam Dental Clinic, best dental hospital in Narimedu, Madurai is headed by Dr. Rajarajan who provides advanced and quality dental care in India for all dental issues. He provides an appropriate treatment for sensitive teeth. Pediatric Dentistry is the branch of dentistry that deals with the oral health of children from birth to teenage. 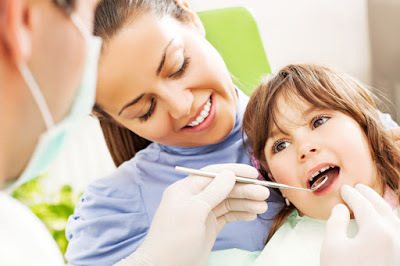 Pediatric dentists have the qualification to take care of a child’s teeth towards the various stages of childhood. Early detection is essential to maintain oral health. 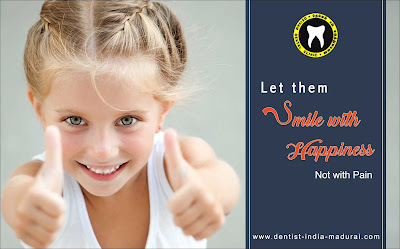 If proper dental care is not given children will face many dental problems which cause pain and complication. An early dental examination will help in the detection of early stages of tooth decay. It is recommended that a dental visit should occur within six months after the presence of the first tooth or by a child’s first birthday. Your baby's primary teeth are important. Pediatric dental care ensures your child's primary teeth stay healthy and free of decay and other dental diseases. Research shows that children who develop cavities in their baby teeth are more likely to develop cavities as an adult. Paediatric Dentistry includes comprehensive dental care for children from infancy through the teen years. Pediatric Dentists know how to make the children comfortable with the treatment and provide the best possible care to them. Here at Deivam Dental Clinic, we are excited to take care of your child. Our aim is to be your trusted Dental Healthcare Provider delivering what exactly your children need. Our expert Orthodontists in Madurai, provide most advanced treatment and technology. Deivam Dental Clinic in Madurai by Dr. R Rajarajan is one of the Best Dental clinic in Madurai offering pediatric dentistry in Madurai at affordable rates. If your tooth is damaged in its nerve due to an infection or any decay then you should take the treatment from a dental clinic as early as possible. If you take the right treatment at right time you can keep your natural tooth, avoid the need for an artificial tooth, keep the alignment of your teeth, and prevent issues with your jaw. A root canal is a natural cavity in the center of the tooth. Root canal also has the pulp or pulp chamber and tooth nerve in the same area. The pulp chamber is a soft area of the root canal. However, after the tooth has erupted from the gums, tooth nerve does not have any specific function for the tooth. How may root canal problem arise? 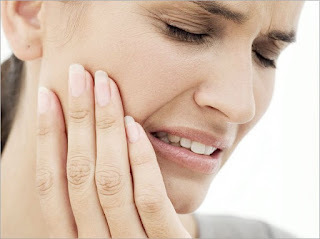 When root canal problem needs treatment? A root canal treatment is used to repair and save a tooth which is highly decayed or becomes infected. The nerve and pulp are removed and the tooth inside is cleaned and sealed in the treatment process. It is important to know that the surrounding tissue of the tooth will become infected and abscesses may form if right treatment is not provided at the right time. Root canal treatment is painful and first few days are complicated as tooth may not feel sensitivity due to the inflammation of natural tissues. Deivam dental clinic provides best root canal treatment facilities in Madurai. What are the risk factors for performing root canal treatment? Deivam dental clinic, Madurai has all the modern facilities to treat root canal and other dental problems. Dr. Rajarajan and his efficient and experienced team are committed to providing a perfect and suitable treatment method. GRAB YOUR APPOINTMENT NOW BY A CLICK HERE !!!! Dental implants are replacements of tooth roots. The dental implant is quite beneficial than tooth replacement. Dental implants replace the tooth which is pretty similar to the natural tooth in the terms of appearance and functioning. A ceramic crown is an artificial tooth which looks like the natural tooth in the size, shape, and color.The combination of the Ceramic crown with dental implants is the best way to perform it gives a natural look and restore our confidence. The dental implants are a most advanced method to restore a lost tooth, they take less pain and less time. Dental implants are quite popular now and people wish to replace their destroyed tooth with artificial teeth. While comparing with any other treatment dental implants are safer. AREYOU A CANDIDATE FOR DENTAL IMPLANTS? 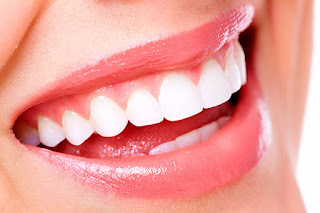 A person with good general health and oral health is the ideal candidate for dental implants. The best candidate has healthy gum tissues and adequate bone in your jaw is needed to support the implants. Dr.R.Rajarajan of Deivam Dental Clinic is the best place to do the dental implants at the affordable cost.He one of the leading dentist with good experience in his medical field.The clinic has all the modern technology to treat dental implants. Crooked and wayward teeth are nothing new to many of us. In fact perfect teeth are a pretty rare occurrence. We all have some kind of dental irregularities. Some are severely crippling for our aesthetics and needs dire corrective measures. With the growth in cosmetic dentistry, orthodontic dental treatments have also undergone an evolution. Ceramic braces are a significant development in this field. Deivam Dental Clinic offers the best dental treatment in Madurai, under one of the pioneers in dental treatments, Dr. R Rajarajan. Braces have been in use since a long time. However, the use of ceramic braces remedies a number of issues that are usually associated with conventional metal braces. Ceramic braces helps in getting the task accomplished in a more efficient and faster way than the conventional methods. Now, what sets ceramic braces apart from metal braces? Ceramicbraces are less visible and more subtle than metal braces, making them less noticeable than the conventional braces. They are also smaller in size and smother increasing the ease and comfort of use. The make and build of ceramic braces make them less conspicuous. They are available in different colours making them meld with the natural teeth. Another advantage of ceramic braces is that they do not stain easily. Ceramic braces are build from special ceramic material that are resistant to stain. 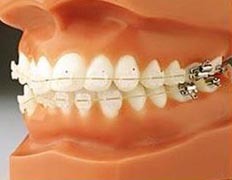 They resemble metal braces in operation and functioning though they vary in treatment plan as ceramic braces are less brittle and applies less strength than metal braces. Certain factors are considered before using ceramic braces in place of metal braces to correct wayward teeth. Some of these include the following. Dr. R Rajarajan is a pioneer in dental care specialised in the latest cosmetic surgery and orthodontic treatments. A root canal is a treatment used in dentistry to repair and save a tooth that is decayed or infected. 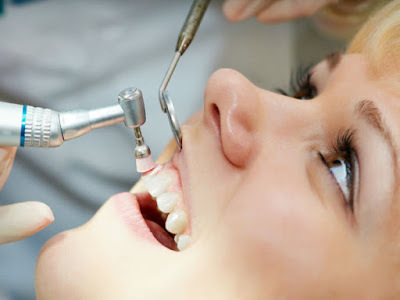 In this procedure, the tooth is cleaned and sealed by removing the pulp and nerves inside. The nerve of a tooth is not vital for the function of the tooth once it has emerged through the gums. The only function of the nerve is to provide the sensation of hot or cold. So, the presence or absence of the nerve will not affect the functioning of the tooth. 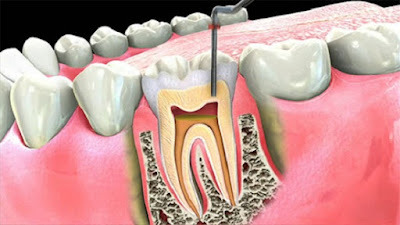 First, the dentist numbs the tooth and makes an opening through the crown of the tooth to the pulp chamber. 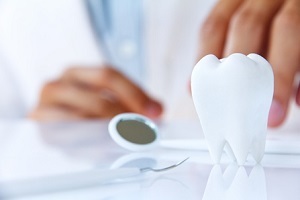 Then the dentist will use special files to clean the infection and unhealthy pulp out of the canals and shapes the canals for the filling material. The dentist uses irrigation to remove the debris and clean the canals. After that the dentist fills the canals with a permanent material (mostly this is done with a material called gutta-percha). This filling helps to keep the canals free of contamination or infection. To seal the opening the dentist will place a temporary filling material is placed on top of the gutta-percha. This filling is placed until the tooth receives a permanent filling or a crown which looks like a natural tooth will be placed over the top of the tooth. Step 5: Finally the dentist will place the crown is cemented into the place. Deivam Dental Clinic of Dr R Rajarajan, one of the best dentist in Tamil Nadu offers the best Root canal treatment in Tamil Nadu at affordable cost. World No Tobacco Day 2012--Quit Smoke Before It Kills You!! Periodontal Flap Surgery---For a Painless Smile!!! !